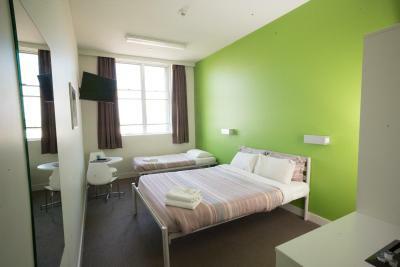 Lock in a great price for Sydney Harbour YHA – rated 8.8 by recent guests! 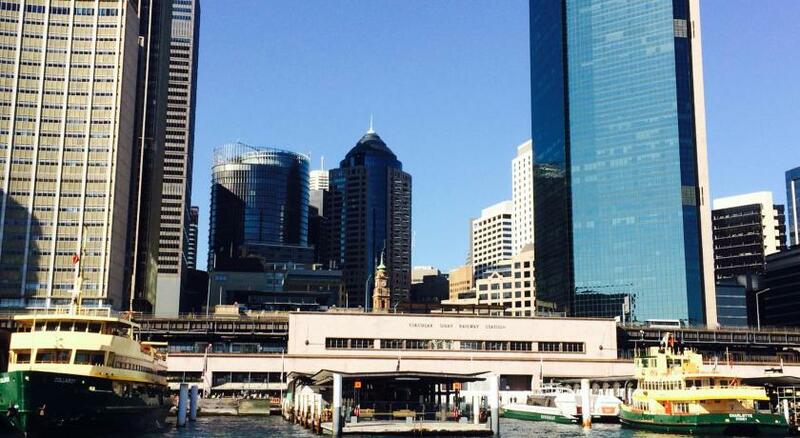 Great location, it was a quick easy walk to the train station and anything in Sydney Harbor. Awesome setup. Awesome hostel. Meals were cheap. Plenty of spaces to relax. Rooms were huge. Personal outlet near each bed and locker. 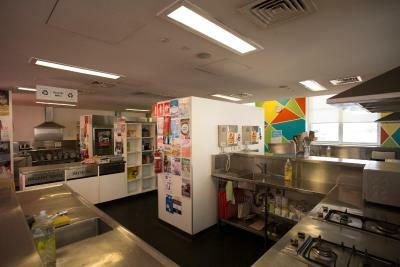 Kitchen area is very spacious. Rooftop lounge was awesome. Game room on the top level. Open air courtyard was a very nice touch. Really enjoyed my stay. I was so happy with the location and felt so lucky to have walking access to everything that I wanted to see and do! I felt very safe and was glad to have the anchor of friendly staff 24/7. The hostel experience far exceeded my expectations and it was amazing how every aspect of taking care of people had been thought of so cleverly and thoughtfully. Well done! I loved how clean it was everything, very comfortable place even at the common spaces at any hour. Check in was fast, and the staff was very friendly. Location is awesome only outdone by the excellent staff and friendly atmosphere! It has a view of the opera house in the roof and a 24 reception. I stayed here twice (before and after a short trip to the Blue Mountains). This is an excellent location. Close to The Rocks, the ferry wharf and the train station. Very efficient operation. Nice staff - very helpful. There is a message board with postings about everything you need to know about the hostel and things to do in Sydney. The place is clean and has a good kitchen. 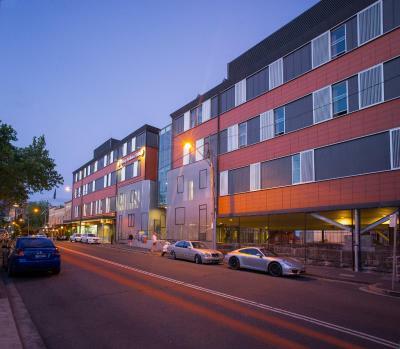 Sydney Harbour YHA This rating is a reflection of how the property compares to the industry standard when it comes to price, facilities and services available. It's based on a self-evaluation by the property. Use this rating to help choose your stay! The award-winning Sydney Harbor YHA features spectacular rooftop views of the Sydney Opera House, Sydney Harbor Bridge and Sydney Harbor. 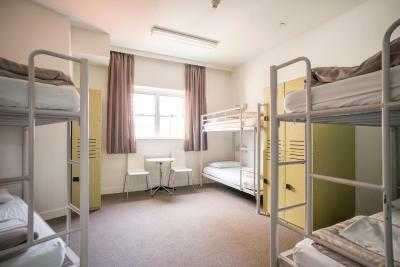 Within 10 minutes' walk of Wynyard Station, it features private and dormitory rooms, a TV lounge, billiards and a fully equipped communal kitchen. Sydney Harbor YHA is located in the heart of the historic Rocks district, surrounded by heritage buildings, boutique shops, cafes, restaurants and bars. 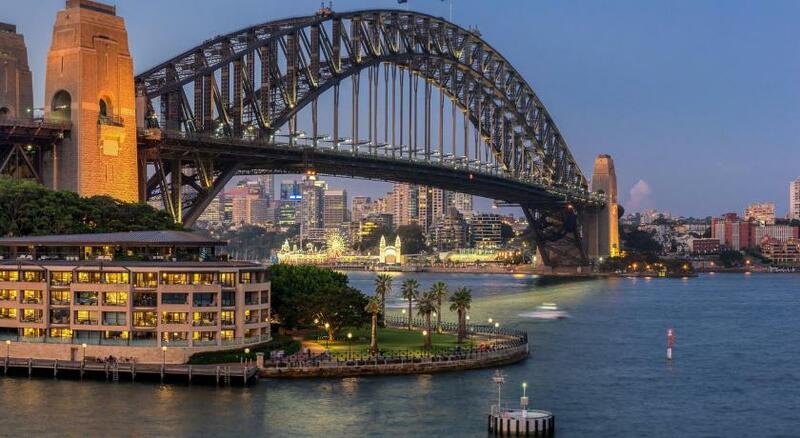 It is 2,150 feet from the Museum of Contemporary Art and less than 20 minutes' walk from the iconic Bridge Climb, Sydney Opera House and the Royal Botanic Gardens. 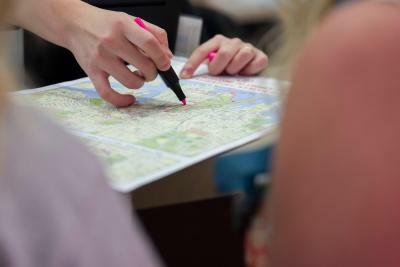 The tour desk can arrange social activities such as BBQs, guided walks and pub tours. 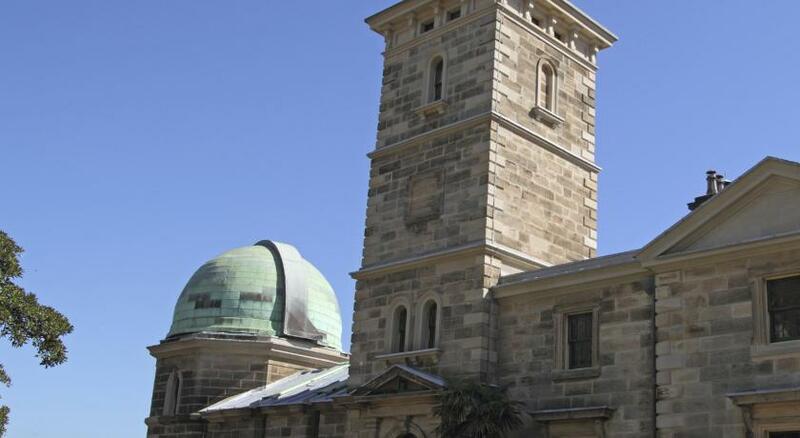 Every Monday morning there is a free archaeology tour and every Monday night there is a $2 sausage sizzle. Friday nights are $7 burger night, free pancakes are provided on Wednesday mornings and there are free guided beach walks on Thursday mornings. 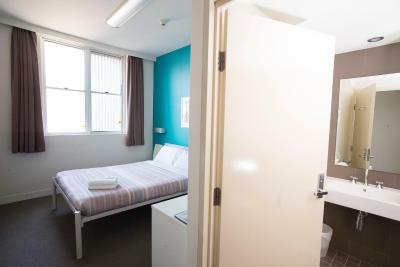 Hostel facilities include a 24/7 reception desk, free WiFi in the spacious lounge area and a guest laundry. 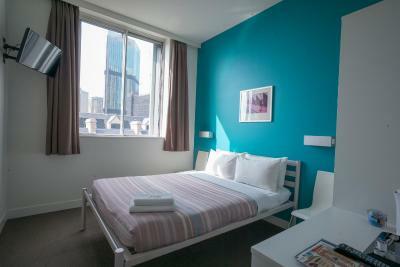 Each of the air-conditioned rooms have a private bathroom and bed linen is provided. Double rooms include tea/coffee and towels. Shared rooms offer a private locker with a powerpoint. This is a sustainable property with solar-powered hot water, rainwater tanks and a unique open-plan design that invites natural light and airflow. 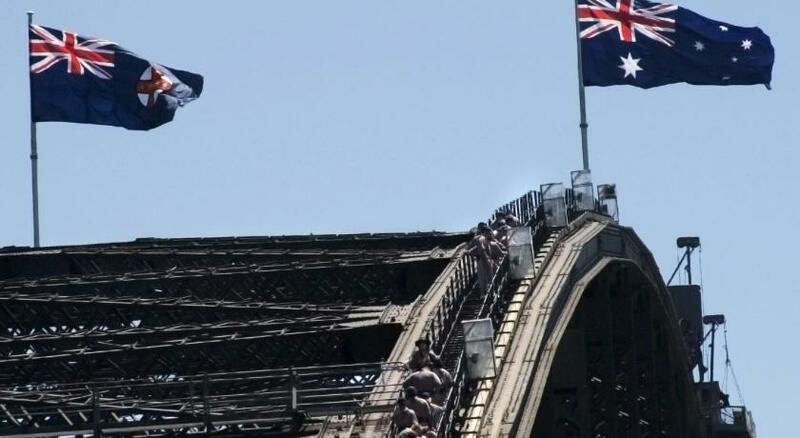 When would you like to stay at Sydney Harbour YHA? Please note that the rate is based on one guest in a bunk bed. 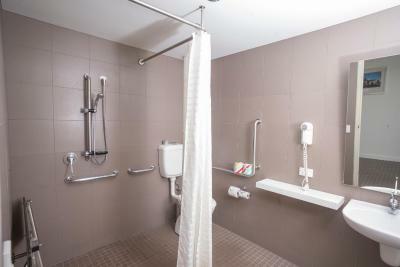 This air-conditioned room has a work desk, a tea and coffee maker and a private bathroom. 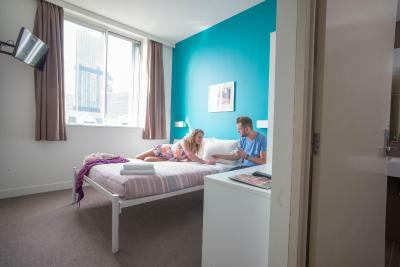 Welcome to the only backpacker hostel in the historic Rocks precinct of Sydney on the shores of Sydney Harbour. Take in the spectacular views from our roof terrace whilst you enjoy our multi-award winning facilities and service. 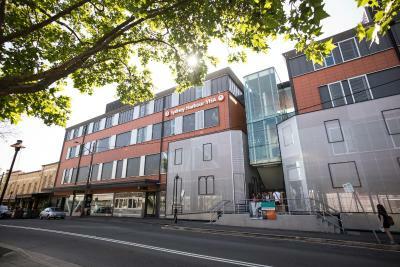 Our unique sustainably designed hostel helps you lower the carbon footprint of your stay whilst providing proximity to Sydney’s main attractions. Area Info – This neighborhood is a great choice for travelers interested in shopping, food and restaurants – Check location Excellent location – show map Guests loved walking around the neighborhood! 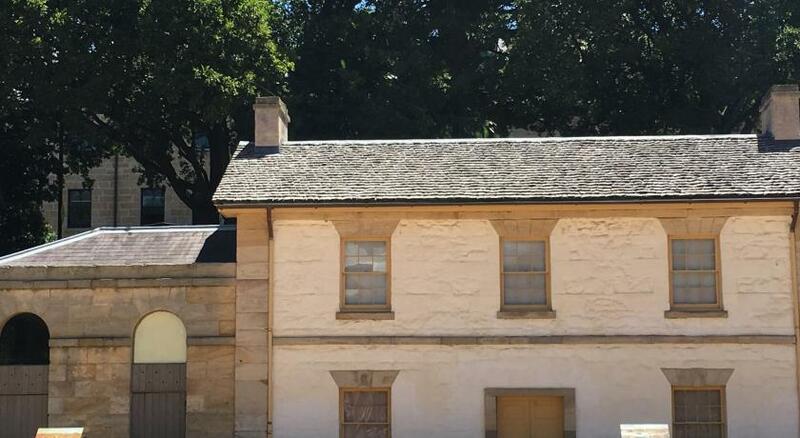 House Rules Sydney Harbour YHA takes special requests – add in the next step! 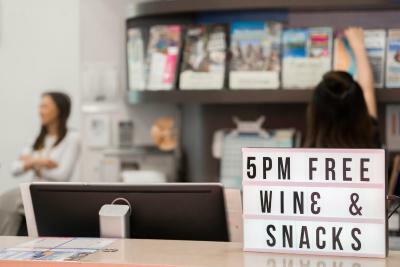 Sydney Harbour YHA accepts these cards and reserves the right to temporarily hold an amount prior to arrival. 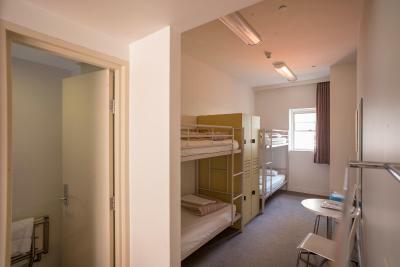 Children are welcome, but are not permitted to stay in dormitory rooms. 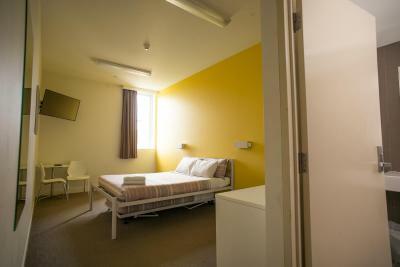 Children aged 17 need a letter from a parent/legal guardian to stay in dormitory rooms. If children are 16 or under, they will need a parent/legal guardian aged over 21 to stay with them in a private room. Please note for bookings of 10 or more guests, different policies and procedures may apply. For further information please contact the property in advance, using the contact details found on the booking confirmation. Friendly & helpful staff, convenient location. 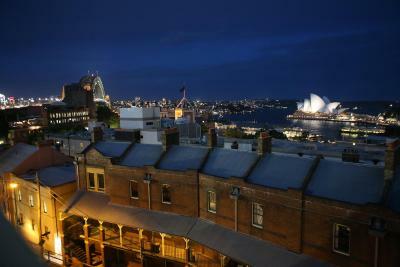 Beautiful location, best views in Sydney! Internet was terrible. It was constantly cutting in and out regardless of location (lobby vs room). internet : because it's disconnected as soon as you go on roof top or at ground or in lobby and even in room and each time you bed who connect it- it's kind a annoying and YHA should fix this thing. Just the challenge of my key not always working with no perfect solution except patience! Small mix up about check out time, but was just a momentary blip because everything worked out perfectly. Only one thing - the cost for accommodation on a Saturday night for a very small room with a bathroom. We paid $209.00 which I think is a bit expensive for a Youth Hostel. We loved the location!! 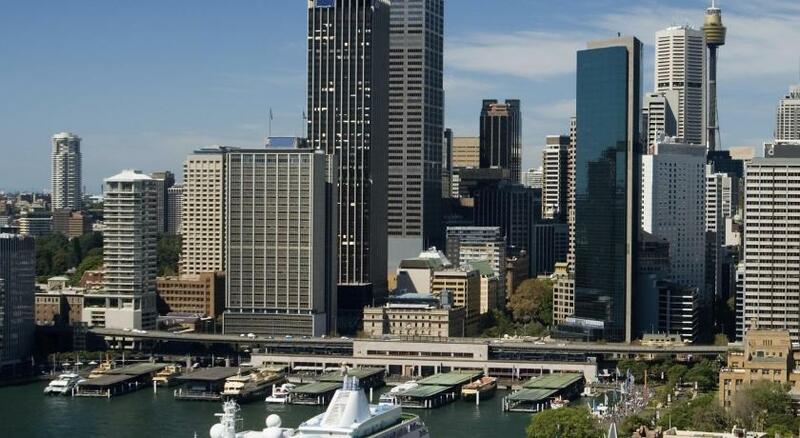 Its only 5 minutes walk to Circular Quay, the Harbour, other local attractions, restaurants & pubs. The staff were fabulous - very welcoming, friendly & helpful.